There is no better way to say goodbye to summer than to enjoy some smooth and easy-to-sip Basil Hayden’s during your Labor Day weekend. 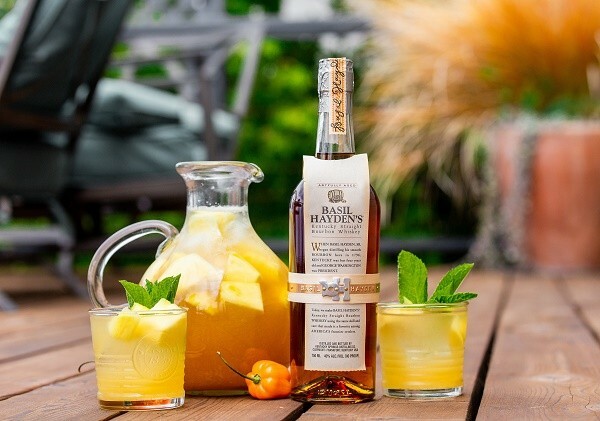 Whether you’re hosting family by the grill or kicking back by the pool with friends, Basil Hayden’s has a cocktail that will help you cool you off the right way. Combine Basil Hayden’s® Bourbon, lemon juice, honey simple syrup, and water into pitcher and stir. Add halved habanero pepper, cinnamon stick, and cubed pineapple. Set pitcher aside and refrigerate until ready. Remove habanero pepper before serving. Pour over ice in double rocks glass and garnish with a mint sprig!